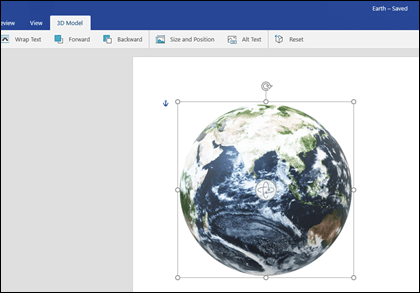 On Windows and macOS, Word, Excel and PowerPoint support inserting 3D models directly into your documents, workbooks or presentations to illustrate a point. You can rotate models 360 degrees or tilt up and down to show a specific feature of an object. The improvements in this update are available to Office 365 subscribers. If you'd like to be among the first to access these improvements, join the Office Insider program. Prefer to see a quick video on this feature? Click here! Want to see live examples? Get templates. You insert 3D models into your files much the same way as other images. On the Insert tab of the ribbon select 3D Models and then From a File. Use the 3D control to rotate or tilt your 3D model in any direction. Just click, hold and drag with your mouse. Drag the image handles in or out to make your image larger or smaller. You can still use the rotation handle to rotate your image clockwise or counter-clockwise, but you'll get a much better experience using the 3D rotation control we talked about above. Remix 3D is not only an online catalog with a large collection of free 3D models to choose from, it's also a community where you can upload, collect, and share if you like, your own 3D images. To select a 3D Model from Remix 3D choose 3D Models > From Online Sources. In the dialog box that appears you can browse, or search for, 3D images from the catalog at Remix 3D. Select one or more images and click Insert. Note: Remix 3D is not available in all countries. For a list of countries where Remix 3D is supported please see: Remix 3D: Frequently asked questions. When you insert a 3D model into your Office file you'll get a contextual tab on the ribbon under 3D Model Tools called Format. On the format tab there are some handy controls to help you customize how your 3D images are going to look. The 3D Model Views gallery gives you a collection of preset views that you can use on your image. For example you can quickly select the head-on view or the top-down view. If you've got multiple 3D models and you're having trouble selecting the one you want to work with, click the Selection Pane to turn on the list of objects. Then you can easily select the image or images that you want to select. The Align tool helps you place your image on the page or slide—at the top or side, for example. Pan & Zoom gives you control of how your 3D image fits within the frame. Click the Pan & Zoom button, then click and drag the object within the frame to move it. 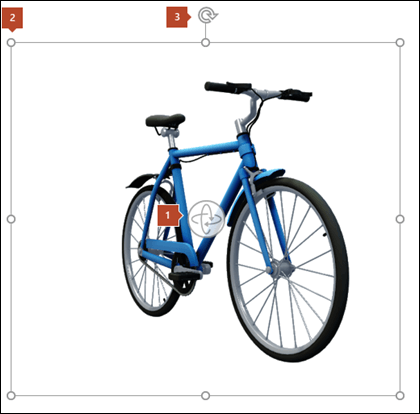 Use the Zoom arrow on the right-side of the frame to make the object appear larger or smaller within the frame. Once you have your 3D images inserted you can do all kinds of exciting things with them, such as using PowerPoint's Morph Transition to make the object appear to rotate or spin. In Outlook 2016, you can insert 3D models into an email message. To use this feature you have to be using the full-sized message editor. If you create a new email you'll already be using it, but if you are replying to a message in the reading pane you'll need to click Pop Out to expand the message editor to full-size. Then you can go to the Insert tab and click 3D Models. One important thing to remember is that the other person won't be able to edit the model you insert in the message. 3D models in emails are converted into pictures when sent, so the other person can't edit it. 3D models in Office 365 for Mac or Office 2019 for Mac are supported on macOS version 10.12 and on macOS version 10.13.4 and later. This feature isn't supported on macOS version 10.11 and earlier. It also isn't supported on macOS version 10.13.0 through 10.13.3. If you’re running one of those versions, you’ll need to upgrade to a newer one to use 3D. If you've got multiple 3D models and you're having trouble selecting the one you want to work with, open the Selection Pane to turn on the list of objects (Home tab > Arrange > Selection Pane). Then you can easily select the image or images that you want to select. Once you have your 3D images inserted you can do all kinds of exciting things with them, such as using the Morph transition to make the object appear to rotate or spin. To insert 3D models in Word, Excel, or PowerPoint for Windows Mobile go to the Insert tab of the ribbon and select 3D Models. The Remix 3D pane will open. Select one, or more, images and click Insert. Select any 3D model you've inserted in Office for Windows Mobile and you should see a 3D Model tab appear on the ribbon. Here you'll find tools that let you rotate your model a preset amount (you can always just use your mouse to manually rotate it exactly the way you want, if you prefer), or make other changes. Wrap text controls how text will flow around your 3D model on the page. Perhaps you want your model to stand alone and for text to only be above or below it? Perhaps you want the 3D model to only take part of the screen and for text to flow alongside it as well? This tool lets you make those choices. 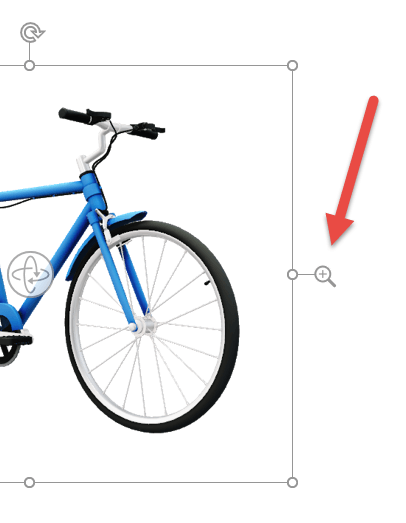 Forward or Backward let you arrange how other objects on the page appear with your 3D model. For example, if you wanted to add an arrow shape and have it appear on top of your model, pointing at something, you could send the 3D model backward and bring the arrow shape forward, so that the arrow appears on top of your 3D model. Forward and Backward let you have multiple layers of images or objects. Size and Position give you some tools that let you precisely resize your 3D model. If you need the 3D model to be exactly 4.12 inches tall that may be difficult to do by dragging the mouse, but in the Size and Position tool you can type the exact height and width you want. You can also use this tool to rotate your model, around any or all 3 of the axes, to a precise degree. Alt Text allows you to specify a brief text description of your 3D model for the benefit of people with visual impairments who rely on a screen reader to consume your file. After you've made changes to your model you may decide that you want to undo the changes you made. The Reset button on the right end of the 3D Model tab will let you put the model back the way it was before you started changing it. Office 365 doesn't have traditional clip art, but 3D models are a new kind of clip art: The online library of ready-to-use three-dimensional graphics, Remix 3D, has many graphics to choose from that you can use as-is or adapt. This article was last updated by Ben on December 5th, 2018. If you found it useful, and especially if you didn't, please use the feedback controls below and let us know how we can make it better.